Technology, Photography, Missiology, & Me. I apologize to my lone reader for my tardiness as I was traveling during the holiday season and did not plan appropriately for getting this post published. Also, subconsciously I’ve put this off for some time because this year, more than any I can think of since beginning my top five lists, was the most difficult. There were plenty of good albums, but there were hardly any great albums. Picking a tops list out of a plethora of good albums is exceptionally hard to do. All of the 2018 albums listed here, plus others that didn’t make the list are on Spotify: URL | Spotify URI. This is the album of the year if inclusivity were the theme. And that may be the reason it struck a chord with so many. For me, I couldn’t help but think of Prince as I listened to the album. This is especially true for Make Me Feel. Apparently Prince wrote the synth piece for the song. It shows. Lucius made the Honorable Mentions list in 2016 with Good Grief. This album is acoustic with covers, a couple of new songs, and stripped back versions from their back catalog. I love, love, love Goodnight, Irene with Roger Waters from Pink Floyd. With Wilder Mind finally, and thankfully, fading from the rearview mirror, Delta gets us back to the Mumford we used to know, almost. Love, or love lost, continues to permeate Mumford’s songs. But this album seems to kiss spirituality on the mouth, as opposed to only flirting with it in past albums. I’d love to hear The Wild live. This band can do no wrong by me. I’m an unashamed fanboy. This album offers nothing new, no experimentation. It’s just Death Cab being Death Cab and that’s why I love it. The first lyric on the first song just might throw you off, but keep listening; you’ll be rewarded with a sharp and sad story throughout the album. From a friend moving on to find themself, to a grandmother dying, you get the sense that you’re listening to real stories, not just some songs. And Lucy’s voice…goodness…it’s quite something. It seems bonkers that this is my 8th annual Top Five Albums post. What’s not bonkers is that it’s the only post on this site all year. I’m nothing if not consistent. Second, this was the year of the concert for me. Early in the year Julie and I went to Radiohead. That was followed by a trip to Seattle with my son to see U2’s Joshua Tree tour. I killed two birds at that concert as Mumford & Sons opened. Later in the year we saw The National at “The Schnitz” (Arlene Schnitzer Concert Hall). This concert was simply amazing. The Schnitz is a perfect venue for music and The National did not disappoint. To date it is my second favorite concert of all time, only being surpassed by the U2 Elevation concert in February of 2002. I attended that show in Kansas City and it included U2’s tribute to 9/11. While nothing can compete with that emotionalism, The National came pretty close. Julie and my daughter saw The Killers just a few weeks ago (I was happy to skip that one). But, I was super bummed that I missed out on a chance to see Elbow here in Portland. All in all it was a great year of live music. Like 2014 & 2015 I need to file a couple of complaints. U2, you’re killing me. Songs of Experience is dreadful. Arcade Fire, be careful. If I’m not mistaken Everything Now is your 5th studio album. I’ll give you a pass on releasing something this bad…but you’ve been warned. Most, if not all of these albums, plus a few more from 2017 can be found on this Spotify Playlist: URL | Spotify URI. Big Thief is new to me, but I’m glad I found them. Maybe they’re new to a lot of people as this is only their second album. This is an excellent album. I like it not necessarily for the music, but for the lyrics. Each song tells a story…some of them not easy, but all of them good. Mythological Beauty is one of my favorites. You might be fooled into thinking this is a feel good album based on the music, but like Capacity it’s emotional, and sorrowful, and sad. But man is it a good listen. It’s tough to combine techno and somber, but you just have to love an album with a song entitled Emotional Haircut. If you read the 2014 Top Five you’ll remember The War on Drugs holding the top spot. This album is just as good. Yeah, they still remind me of Springsteen. Did you know that The War on Drugs is made up of a 38 year old one man band? Yeah, me neither. This is another album filled with sadness. Maybe that’s the theme for this year. I’ve said this before, I’ll say it again. I have no clue how this band is not more popular; especially within my demographic. I love love love this album. Musically, lyrically, all of it. It’s a slow grey day with a whiskey and a cigar kind of album. And yeah, more sadness. Go listen to the song with the album’s name, Little Fictions. It’s my favorite song of the year. The previous high mark for The National was number three in 2010 with High Violet, but they get the top spot this year. Indie rock? American rock? I’m not sure what genre they live in, and ultimately it doesn’t matter; the songs on this album aren’t easy. Turtleneck, the end of I’ll Still Destroy You, The System Only Dreams in Total Darkness, are all musically manic and lyrically morose. If you’re going through the five stages of grief this should be the soundtrack for your life. And seeing them perform these songs live adds a whole different dimension. Pitchfork says of this album that Tom Berninger isn’t singing about how to enjoy life, but how to endure it. Agreed. Let’s start with a hat tip to the Pet Shop Boys. They know their niche and stay in it. Forever. Honestly, go listen to their 2016 album Super. Mix it with all their other albums and I’m not sure you’d be able to pick out which songs came from this album versus any album of the 80s or 90s. Two albums stood above the rest this year. But first, this years Honorable Mentions. And no, Solange is not on my list. Anywhere. Her album was a hot mess I could not get into. Quintessential Pop. And I love every bit of it. It reminds me of every great thing about 80s music. Is that what The 1975 was hoping for? Not sure. But this is a fun album. I put them in the same category as Bombay Bicycle Club and Two Door Cinema Club, two bands I really enjoy listening to. Potentially a boy band in the making, but honestly, I don’t care. After the weight of Cohen and Bowie, this is a needed pop of joy. Finally. This is the Radiohead I love. With similarities dating back to OK Computer and Kid A, this album is both dream-ish and nightmarish. Is it easy to understand? No. But is it a joy to listen to? Absolutely. True Love Waits, is a song that’s been around since 1995. It gets a refresh on this album as the last song, and it is gorgeous. As good as A Moon Shaped Pool was, 22, A Million was other-worldly. For the Bon Iver haters that think this is another falsetto laden snore fest, you should listen. You haters should start on track eight, 8 (circle). You get Justin and his simple voice. No falsetto. Just him singing. It’s a beautiful song. This isn’t the folksy Vernon/Bon Iver you’ve become accustomed to. This is experimental. And odd. And weird. It’s art. It’s disjointed. In some places the lyrics make sense and tell a story as you nod your head in agreement. In other places you almost want to pull the car over and scream – it makes no sense. Musically you won’t find another album this year that can compare. At one point I thought the record player was skipping, or had dust on the needle, only to find that what I was hearing was actually in the song. Listen to the last song, track 10, 00000 Million, over and over. Watch and listen to Bon Iver’s video for the song. And then listen to this cover – by Gordi. It’s clear that this blog has become nothing more than a place to list my annual top five albums – but here’s to consistency. A couple of notes before we get into the list. One, Coldplay — you should be ashamed of yourselves. Rumor has it that this album (A Head Full of Dreams), your 7th studio album, is your last. I’m not saddened. You’ve not produced anything worth listening to since Viva la Vida or Death and All His Friends (2008). Two, while I enjoyed Wilder Mind, and truly admire Mumford & Sons for departing from the norm (banjos, acoustic guitars, and a standing bass), this album was lyrically weak. Does every song on a 12 song album have to be about the complexity of love & relationship? Aren’t there other topics you could write and sing about? Father John Misty makes me smile, and Adele has a voice like no other human on the planet. This is like a subdued dance club album – as in, you can listen to it and not want to stick hot pokers in your ears. Think airy & effervescent, with a touch of cool. It’s hard to put into words how I feel about this album. It’s move-you-to-tears good. 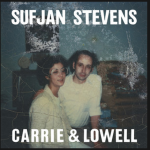 It’s named after Sufjan’s mother, Carrie, who died in 2012, and step-father Lowell. It sounds different than his earlier albums. This album is hard. Beautiful. Entrancing. Emotional. Real. Raw. Hopeful. I like what Steve McCoy said about this album: “A warm hug and consoling whisper through the reverberating ache”. Don’t play this at a party. While everyone will know they listened to an incredible record, they may go home depressed. It’s hard to pick just a single favorite track on this album. All of it is so good. But if I’m forced it’s All of Me Wants All of You. My one and only post related to 2014 is this one. I took a new position last April at Puppet Labs; and haven’t slowed down since. Like two years ago, this was not a strong year for albums – songs, yes – but not complete albums. And specifically, I was really disappointed with U2 and Coldplay. U2’s Songs of Innocence was not great, which pains me to say. Coldplay had a couple of nice songs on Ghost Stories, but it was no where near a complete, solid album. Elbow – The Take Off and Landing of Everything – Still no US love for Elbow. I’ve never been a huge fan of Beck. His early stuff is almost repulsive. But this is a good album. There’s nothing overly special about this album. It’s the Black Keys, and they’ve been doing this for years. But they continue to deliver and this album is no exception. Turn this one up loud. Apparently Delta Spirit has been around for a while. Who knew? I certainly didn’t. But in 2015 I’ll be returning to their back catalog. This is a really nice album. Take Shelter, Into the Wide, and Push It are all excellent songs. If you like Bon Iver, you’ll like Vancouver Sleep Clinic. It’s the same Justin Vernon, just a new project. There’s only 6 songs on the album, but I just repeat the whole thing…over, and over, and over. This was my wife’s find of the year, and her favorite album. She got it on vinyl for Christmas. Maybe these guys get their own genre – because they’re hard to describe. Honestly, at one point I thought John Cougar Mellencamp, then Bon Jovi, then the Boss, then Tom Petty…it’s odd. I don’t particularly care for those guys, and would hate to put The War on Drugs in the same genre…so I won’t. Under the Pressure, Red Eyes, Eyes to the Wind, and Burning are excellent. This is where I lived for five years (May, 2006 — June, 2011) — Cardiff, Wales, UK. 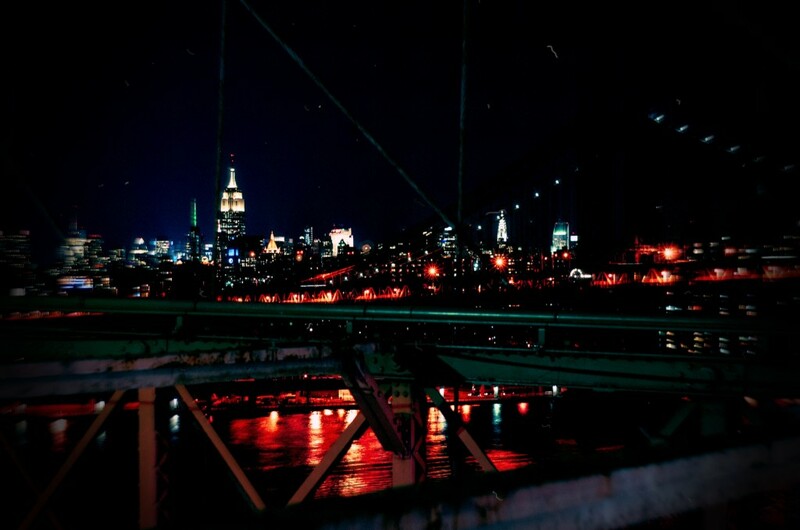 I loved the city. At the 4:12 mark you can see the house I lived in just above the bridge to the left side of the screen.